Updates to Barbara (Saphira)'s profile since your last visit are highlighted in yellow. I have two sons, Asatar and Ethan. Asatar is 41 years old, married with two children, Xavi and Ocean. More…He was an Economics Professor in California and has left his tenured position to bedome President of his father's University of Meditation in Tucson, Arizona. Ethan is 33, recently married and as an ordained Rabbi through Hebrew Union College in California, leads a congregation in Reno, Nevada. He is the Rabbi, Cantor and Educator in this congregation of 150 families. I have been Artistic Director of Omega Theater for 46 years; Within that we have applied theater to education (in many ways and through many venues) and for the last 25 years to therapy. As a Board Certified Trainer in Drama Therapy, I have directed a professional training program for 12 years that helps to credential people as Registered Drama Therapists. Through out my adult life I have worked in experimental theater developing original plays, training programs and community arts events for a wide variety of populations. For 40 years I have studied and been a teacher of meditation from a wide variety of traditions through The Sufi Order International. I have been writing many chapters and articles. I have now published the book I have edited called: THE HEART AND SOUL OF PSYCHOTHERAPY: A TRANSPERSONAL APPROACH THROUGH THEATER ARTS----Drama Therapy, Psychodrama, Transformational Theater.It is possible to get it through our website or on Amazon and other internet booksellers. I have been presenting at conferences and book events in the US and also S. Africa and soon, England. (if you are interested in helping to organize a book event please let me know). Above is our website. The book cover, table of contents, forewords, endorsements, reviews and a chapter can be found there. I have been blessed with work that often feels also like hobbies. I often travel to teach in other parts of the country, which I really enjoy. I also like to tend to my garden, meditate, take long ocean walks and love to dance any way that presents itself. I enjoy reading and love movies though I don't see as many as I would like to. Concerts, plays and playing Rummy Kube these days with my 94 year old mother keeps my mind functioning hopefully as well as hers. The truth is I love new adventures and am always discovering new interests. Xavi just turned 7 years old and Ocean is 4 years old. I wrote a chapter for a book on grandparenting, published in 2013. Of course they are both very special in different ways (says a biased grandmother). I feel very blessed as a grandmother, and sad that I live far away. Barbara (Saphira) Linden has a birthday today. Barbara (Saphira) Linden posted a message. Happy birthday Larry. I trust you are still connecting to Shabda. Interesting how our lives intermingle. I found out from the Project Talent project, that we are both in, that they are still working to get funding etc and that they used clips from our interviews for that purpose. Interesting. "Author, Saphira Barbara Linden, compiles the work of 39 of her most gifted students and colleagues to share her approach of practicing therapy with individuals, couples, groups, in community settings, i.e. hospitals, schools, nursing homes, clinics, prisons, internationally, in transformational performances addressing personal and issue-based material for different kinds of audiences. The book has also received a Gold Seal of Literary Excellence by an independent professional in the fields of Psychology and Social Work." If you go on my website, www.omegatheater.org and click onto the cover pictured here, on the homepage, you will be able to read a preface, 4 forwords, Chapter 2, (the theory and a compelling case example, 22 endorsements and 3 reviews. I would love your comments. I am also doing book events and would love to do one in Michigan at a venue you might suggest. Please call me at 617 522-4181 or on my cell, 617 480-0122. 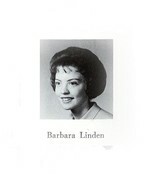 Barbara (Saphira) Linden updated profile. View. Barbara (Saphira) Linden posted a message. New comment added. Just saying hi, hoping you are well. I will be in Michigan July 1-7 and then again for a family wedding, July 16-21. It would be nice to catch up sometime. Happy birthday in a week and may you have a wonderful year. Many memories. Both being awarded The Rosenberg Youth Award and also you playing Harvey and me directing. How are you? Have a beautiful birthday and wonderful year. Happy birthday. It seems that you and I have become Mumford's representatives for the Project Talent we were all involved in in high school. I have been filmed for it. Have you yet? It should be fun to see how it all turns out. I remember fondly seeing you and your family at my house in Jamaica Plain, in Boston during a democratic convention here. I trust all of your "projects" are going well and hope your family is all thriving. Judi, how are you? I have thought about you and wondered what you are doing. I am in Boston. Where do you live in Calif? I am on my way at the beginning of April to present at a psychodrama conference in Oakland and a book event for my new book in Berkeley but I believe you are in southern Calif. I wish you a wondrous birthday and a year of great health, inspiration and peace. 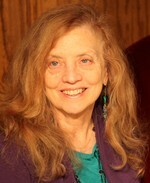 This photo was taken in Feb at a Dream Workshop I facilitated in Ojai Calif. Check out the Utube made at that time. It is on the homepage of our website: www.omegatheater.org Be sure to turn off the music to the left of the Utube to be able to hear it. Happy birthday and may the next year find you in wonderful health. I hope to see you this summer. These are my two sons: Asatar on the right and Ethan on the left.